Halloween is creeping up on us quicker than we expected. Thats why this week we got our act together and finally made our Halloween costumes. We are VERY excited for this one because as you guys might have seen on our Instagram stories over the summer, we are OBSESSED with The Handmaid’s Tale. So we decided to take their signature outfits & give them an LMP spin. 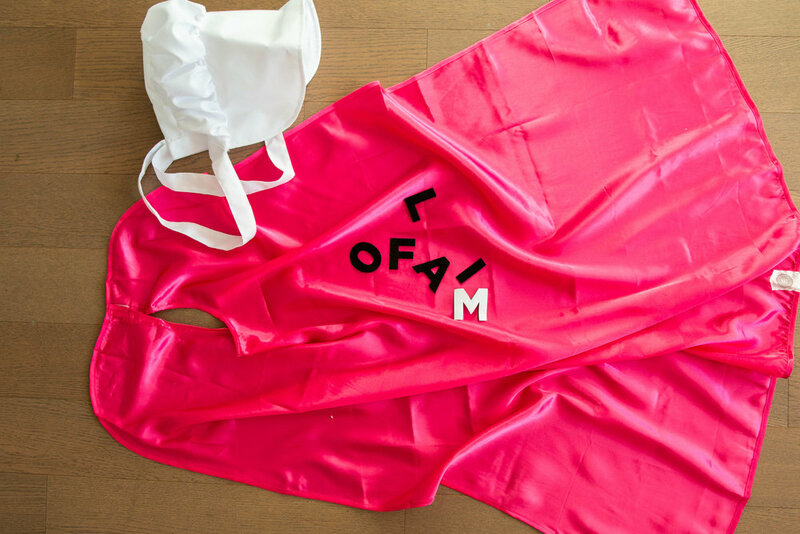 Complete with pink capes of course! 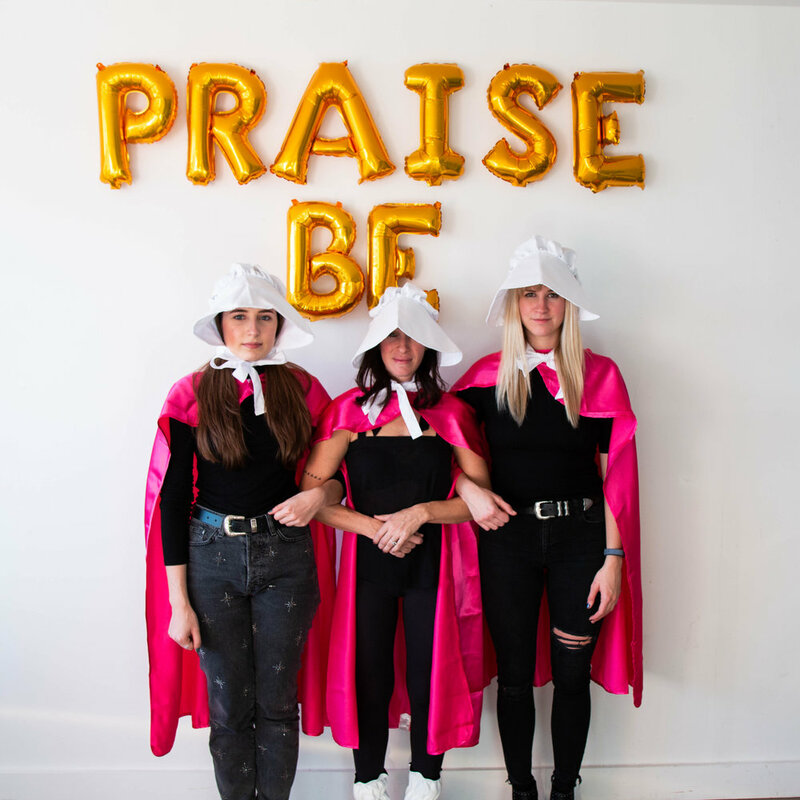 Keep reading to see how we made this super easy costume! 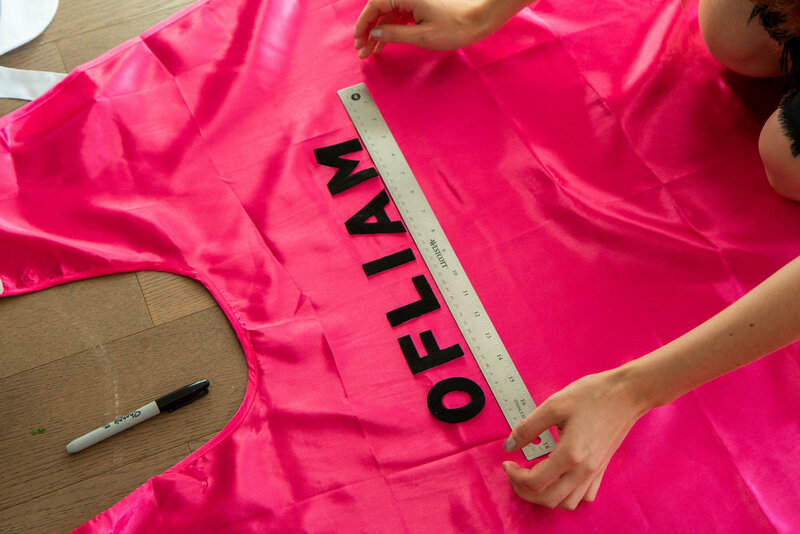 Step 1 - Steam your capes! They will most likely come all folded up and creased. 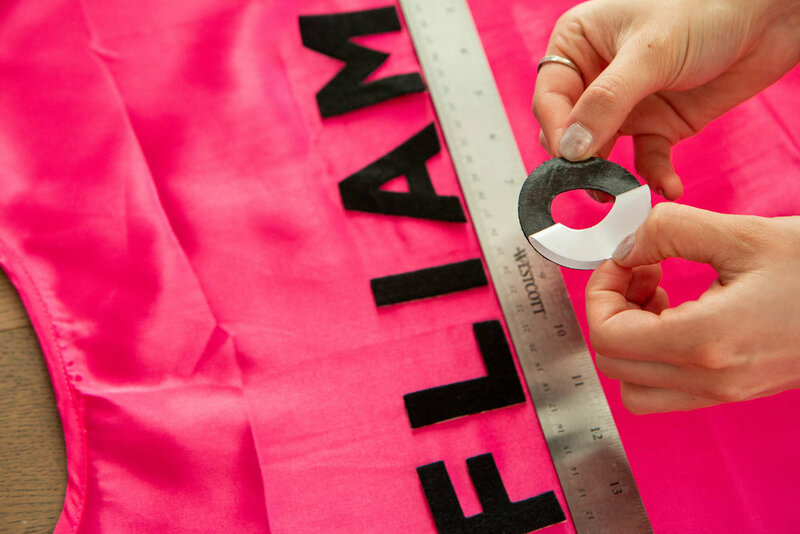 Once you attach your letters, it can melt the glue that holds it together so make sure you do this BEFORE. Step 2 - Use a ruler to line up your wording and practice placement before peeling. We went with phrases like “Of(insert significant others name here)” and “Under His Eye” which are two prominent sayings in the show. 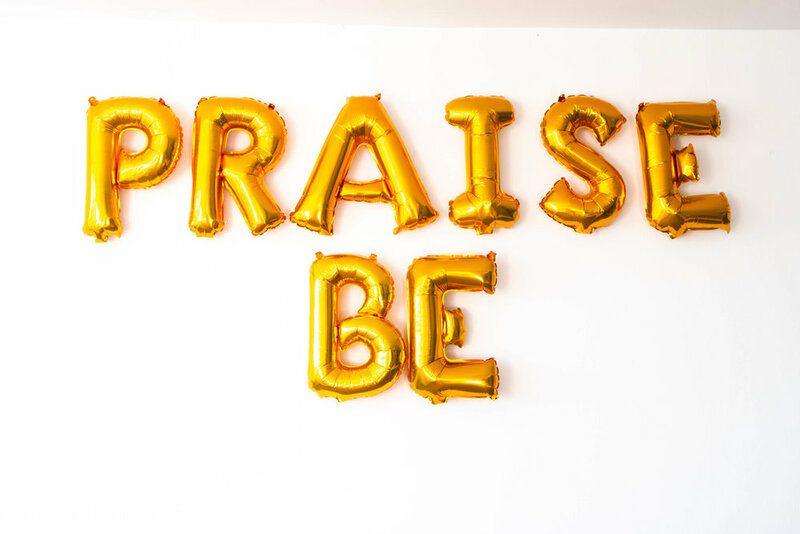 Other ideas could be “Praise Be” or “May The Lord Open”. Step 3 - Peel your stickers and your done! Its that simple. Be sure to tag us in your halloween photos so we can see what you’ll be dressing up as for Halloween.